Getting Melamchi water has been a mere dream for the people of Kathmandu for the last two and a half decades. Still, they are not sure whether the dreams of drinking water of the MelamchiRiver will be fulfilled as the works in its tunnel and the pipe laying works are moving at snail’s pace. The much-talked about project was to be completed by April 2016, but it did not and the authorities had the earthquake of April 2015 a good excuse for their inability to complete the project in time. The deadline of completing the project was postponed for October 2017, but still the project remains incomplete. Now the authorities have postponed the deadline to complete it for December this year. But going by the pace of works both in digging the tunnel and laying the pipes, the new deadline may also not be met. According to the project authorities, 1.47 km of the tunnel of the project is yet to be constructed whereas they have still works to lay the 60 km pipelines to distribute the water. In the whole month of October only 199 metres tunnel was built, which speaks of the fact about the slow pace of the work. Only 660 km of 730 km pipelines have been laid and it is unlikely that the works to lay 60 km pipes will be completed in two months. The project authorities this time have blamed the old equipment for the delay in completing the national pride project being developed at the cost of US$ 355.4 million. And it may not wonder if the authorities further postpone the deadline from December. 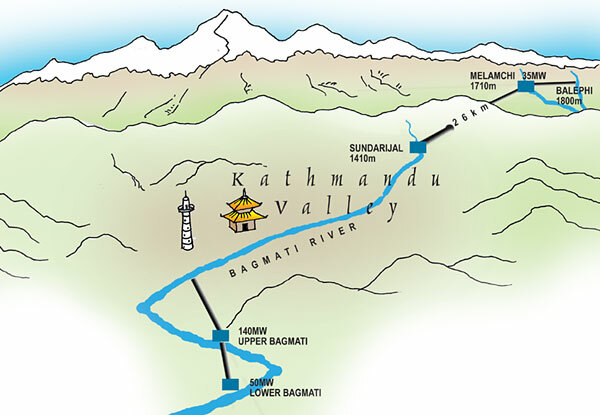 The Project Implementation Directorate (PID) of the Kathmandu Valley Water Supply Improvement Project said that about 10 per cent of the underground pipe laying work still remained. Chief of the PID Tiresh Prasad Khatri said that the network of water pipelines would be completed by the end of December this year. “We are slightly behind schedule. The monsoon and festivals disturbed the construction works,” he said. According to him, only 4 km-long stretches – Pulchowk to Jawalakhel, Maitighar to Bhadrakali and New Baneshwor to Old Baneshwor – remain to be dug up. A few days back tunnel digging process was halted as contractor failed to pay equipment suppliers and local contractors.